A drunk woman took her car on a high-speed joyride while her baby was in the backseat. 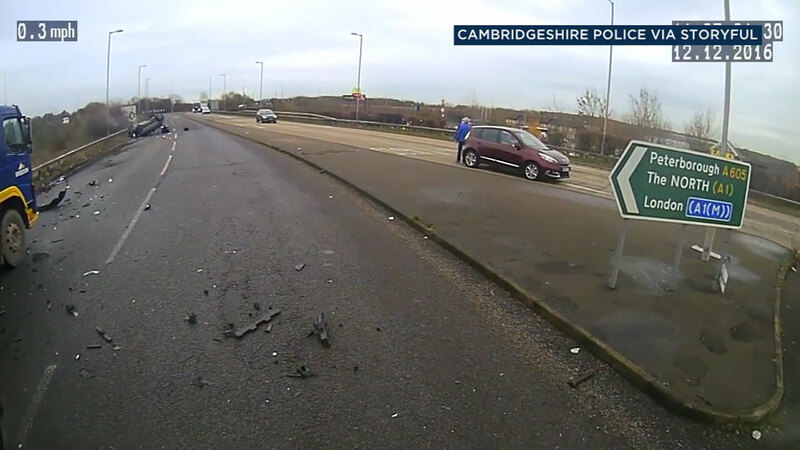 Dashcam footage shows the woman speeding toward a roundabout and then flying over it. Authorities in the United Kingdom said the car flew 15 feet in the air, landing on its roof along the road. The woman and her baby survived the crash. She then pleaded guilty in court and was sentenced to 26 weeks in prison.